I gave Nigel an intricate Hero Arts stamp to work with. Here are his three pieces and his words describing his method and products used. Fold A5 craft card in half with crease at the top. 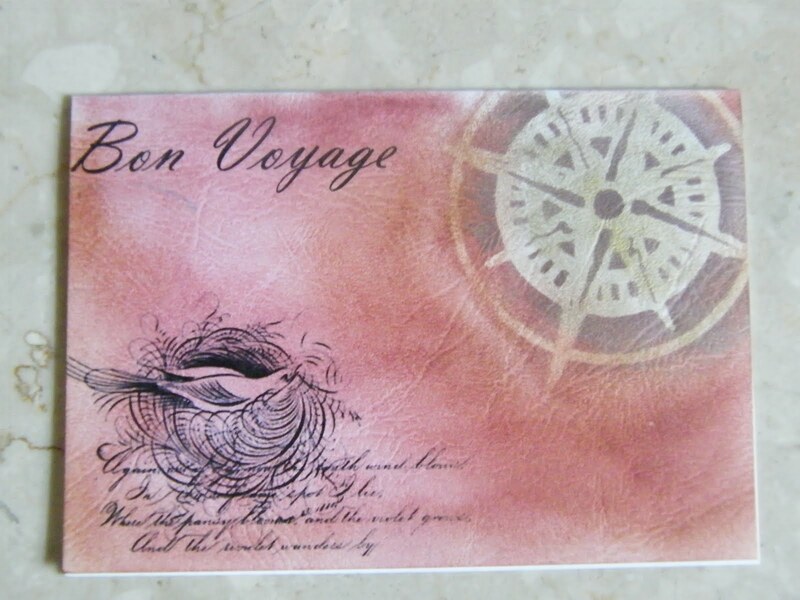 Cut textured card to size and colour with neutral DI. Stamp with Swirly Bird, and fix to main card. 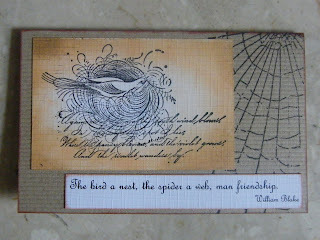 Print William Blake quote onto textured card, cut to size, edge with Brushed Corduroy and fix to main card. Fold A5 card in half with crease at the top. Paint 4x5 canvas with background colour, and apply a layer of tissue paper. Allow to dry. 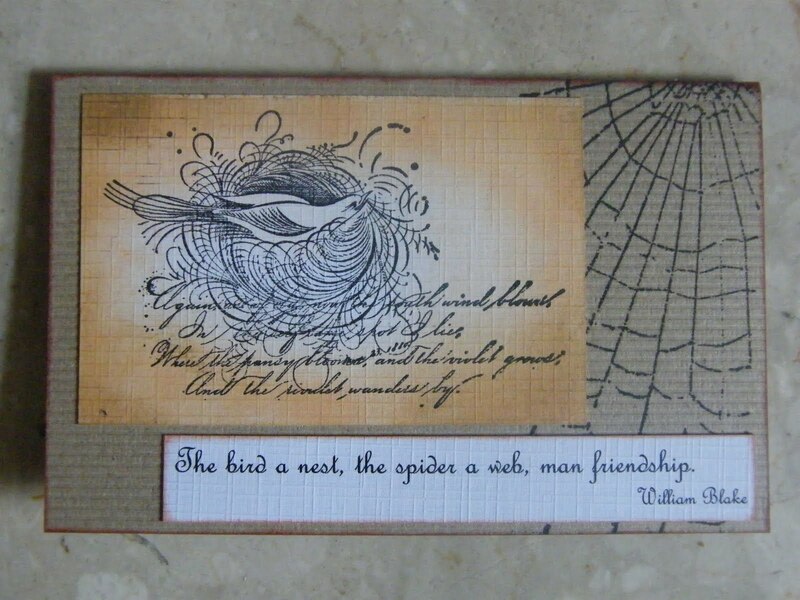 Apply Crafty Individuals Postage stamp image (CI 198) to paper, colour with waterproof markers and glue to Canvas. 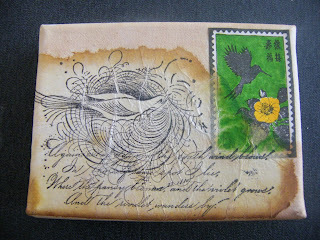 Using Stazon (or other waterproof ink) stamp Swirly Bird onto thin tissue. 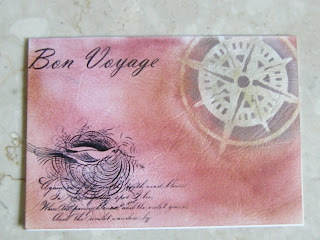 Apply a layer of diluted PVA to the canvas and carefully apply stamped tissue. Smooth out air bubbles with a soft brush, and crease where required. When dry age the canvas and tissue with Distress Inks. 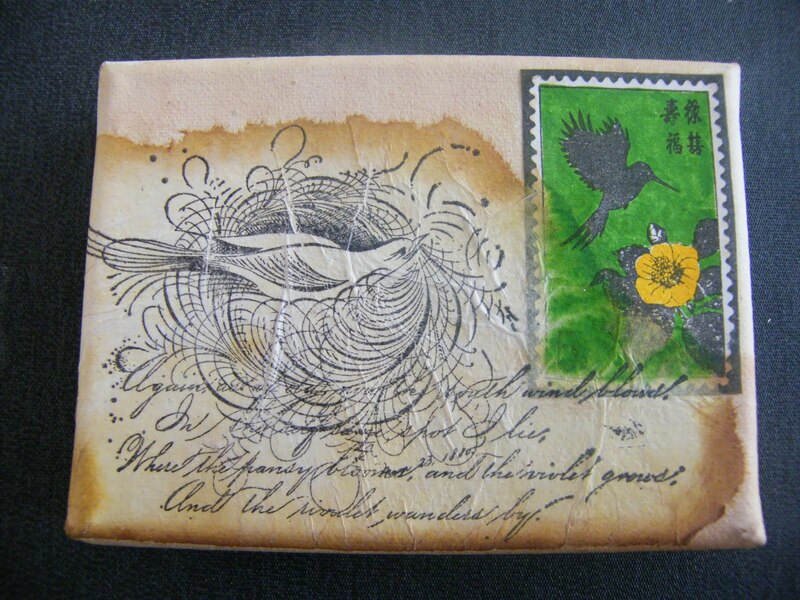 what a wonderful stamp... used to great effect.